Anyone who's even vaguely familiar with Twitter has likely at least once stumbled upon WeRateDogs, a comedy account that brings to light just how fond we all are of our canine companions. It's quite the popular feed, currently playing host to some 1.24 million followers, all of which likely having been hooked by the generous portions (and traditionally over-generous ratings) of enthusiastic puppies posted each week. 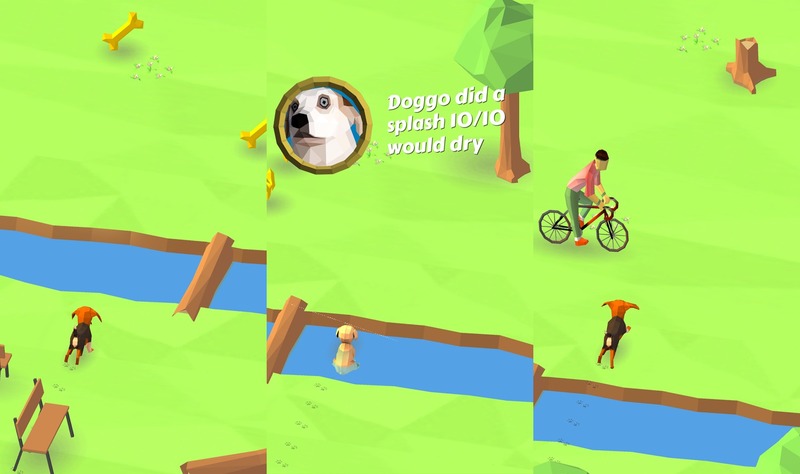 Good as all those dogs may be, though, @dog_rates creator Matt Nelson found room to expand, and has recently announced a new mobile gaming venture called, aptly, Good Dogs. The new project, which is self-styled as "the most realistic and numerically accurate dog running simulator ever," is a collaboration between Nelson and Fourthwall Games, a development studio out of London. The game itself is a free-to-play endless runner where dogs can jump or move sideways to avoid obstacles while collecting as many bones as possible along the way. Much of the Twitter account's trademark humor can be found through comments that pop up on-screen, and players can also unlock new dogs through play time or by offering up real-world cash, if they so choose. Good Dogs launched on February 3 and is available right now for download on iOS and Android devices.